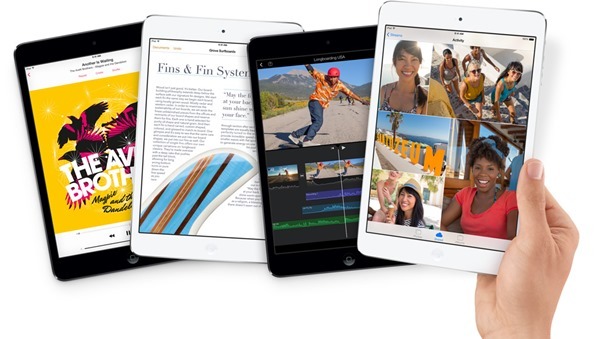 The Retina iPad mini 2 was announced alongside the iPad Air at Apple’s special media event in October. But at that time, Apple vaguely announced that the device will be available ‘later in November’, and no proper calendar date was given. And today, out of nowhere, the device has made its way to Apple’s Online Store. At the time of writing, Apple is not offering any sort of discount on the device itself for holiday shoppers, and the base Wi-Fi only model starts at $399, and goes all the way up to $699. As for the Wi-Fi + Cellular model, the device starts at $529, with the price going all the way up to $829 for the 128GB model. We have our fingers crossed that Apple will throw some sort of discount into the mix, especially in the form of free gift cards, around Christmas time. We’ve run through the specs of the device in great detail at launch, but in case you’ve missed it, here’s a quick rundown: the iPad mini 2 carries the same design language as its predecessor. It comes with the same internals as that of the iPad Air. You get the same 64-bit, A7 processor with the M7 motion coprocessor. A 7.9-inch Retina display, with a mighty panel resolution of 2048×1536. 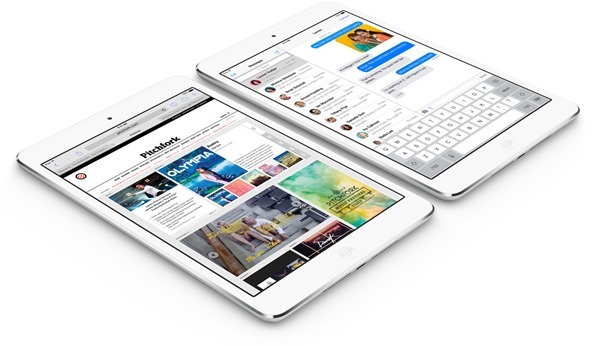 In short, the iPad mini 2 is more or less an iPad Air, but in a smaller and more sleeker 7.9-inch form factor. The iPad mini 2 is available in Australia, China, Hong Kong, New Zealand, Japan, Singapore and the United States. You can order your unit from Apple’s Online Store, or one of Apple’s Retail Stores, with shipping times – at the time of writing – labeled at 1-3 business days for the base models, going all the way up to 10 days for the higher end variants. It’s worth noting that the cellular / LTE version of the device is not available immediately for buyers in China. According to several reports and leaks, it was being suggested that the second iteration of Apple’s smaller tablet would make its way to the hands of consumers on November 21. Also, some reports revealed that due to display burnout issues, the device’s release was being pushed towards the holiday season. But today’s sudden release reveals that both weren’t the case, with Apple being swift to cash in on prospect holiday shoppers around the globe. We will update this post even further when Apple pushes out an official press release with even more details. Update: Apple has confirmed that the new iPad mini with Retina display will be available today on Apple Store online, and is available for Personal Pickup in one of its retail stores. The whole press release can be viewed at Apple’s website at www.Apple.com.